Justice’s field mates Alex and Dickon, returned this month and he was very pleased to see them again! They all enjoyed a run and play in the field before settling down to enjoy some grass together. Justice has had a few schools visit this month, where he behaved brilliantly as always and loved the attention from the children and their teachers. February has had two of Justice’s favourite words in it; School Holidays! 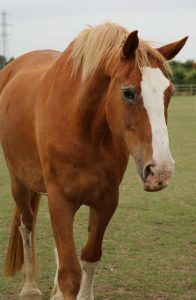 If that wasn’t enough, one his field mates left to keep another horse company for a while, leaving him, Pip and Beau in a big field all to themselves. 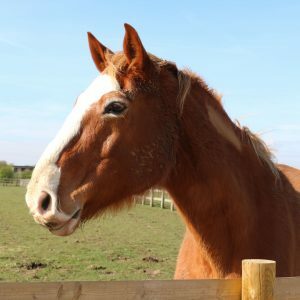 Although Justice was initially really impressed with this and celebrated with a good run about, he has since spent the most of the month at the fence line ready to meet his adoring fans and possible new supporters. Justice has had a lovely month! 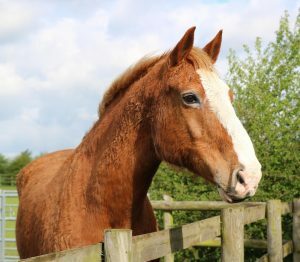 He came down to the yard from his group for a spruce up which he thoroughly enjoyed, and he is loving being back out in the field playing with his friends. As always, Justice is ready to meet all of our visitors – especially throughout February Half Term! Justice is no longer keeping Dickon company on the Visitor Centre Yard and has moved back to his group. They all moved up onto a straw pad for a little time whilst their field was rested. 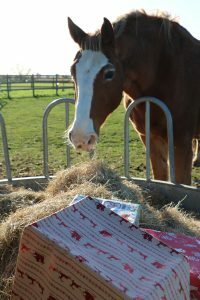 Justice was very lucky this Christmas as some very kind supporters purchased an extra-large headcollar from the Amazon Wishlist for him and his friends to wear! 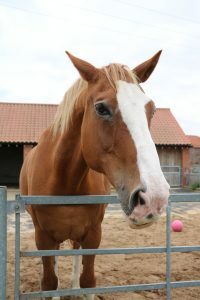 He very much enjoyed seeing the visitors throughout the holidays and looked forward every day to meeting new people! The big man has had a quiet month for activities and visitors. However, this is all set to change as December is here and therefore Christmas festivities are just around the corner! This hasn’t stopped him making sure the staff are doing as they should be when it came to weighing the Shetlands though. He was on hand and had a close eye on the whole operation to ensure it went smoothly. 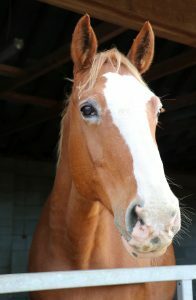 Justice has had a pedicure this week when the farrier visited so he is all trimmed and ready for his fans. Justice spent the summer meeting his fans and lapping up the attention at the Visitor Centre yard while keeping Dickon company. However, it was soon time for him to make his way back to the field and regain his position as the big boss once again. He was very happy about seeing his friend Beau Pirate and they have not been seen very far away from each other since he returned. During half term he was still the centre of attention regardless of not being on the front yard, as he took part in the Adoption Tour. In true Justice style he stood patiently at the fence and posed for the cameras as visitors went by. Justice is still spending time down on the yard at the Visitor Centre with his friend Dickon. He is enjoying the attention, especially all that he got at the Autumn Fayre where he was the height of excitement for visitors as they could meet him up close and take a photo. Justice was very obliging of course! Justice has been doing his bit by looking after his friend Dickon who has been having treatment for a foot abscess. 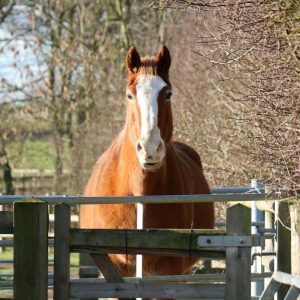 This has worked very much in Justice’s favour, as it has meant he needed to move onto the yard, where more visitors would see him and give him attention. 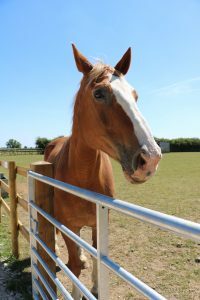 He is very sad to see the end of the summer holidays and greeting all the new faces to the charity, however his adoption day made up for that when he received a lot of fuss from his loyal supporters. Justice is now in his element as the summer holidays have begun, meaning more visitors which means more attention for Justice. 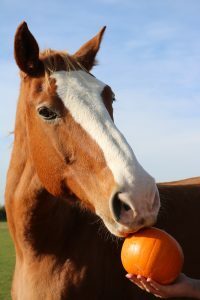 Since he has moved fields, he has become very good friends with the girls next door but has made a special friend in fellow chestnut adoption horse, Sophie. The pair are often seen along the fence line having a chat in the mornings. Justice has had many visitors during the nice weather but he doesn’t like sharing them with any of his friends. His latest trick for stealing attention is following visitors down his new walkway to make sure no one else gets the extra attention. 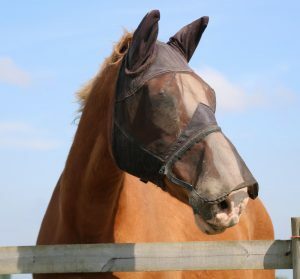 Due to his pink nose, Justice has been wearing his fly mask with a nose net so he doesn’t get sunburnt and he has been showing it off to his field mates who are also in need of a larger one but don’t yet have one. 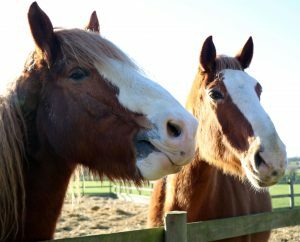 Sadly, two of Justice’s fellow ex police horse friends have moved to Walklands Farm as they needed better grass and the field was starting to get over crowded. Although Justice is missing their company he is now always seen with his lifelong friend, Beau, at his side. Justice still remains the boss of the group and has kept them all in order and on best behaviour over the May half term and Summer Fayre excitement. 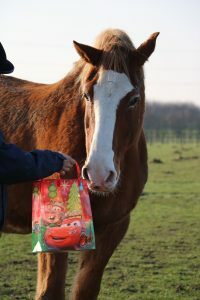 Justice enjoyed all the attention from visitors at the ‘Meet the Police Horses’ tour during the Easter Holidays, where he posed for cameras like a true professional. He has also taken Pip under his wing and is teaching him the ropes of being an Adoption Star! Justice is enjoying the spring grass that has started to grow, so much so, he is having his hard feed reduced to watch his waistline. Justice has been making the most of the snow by running around and playing with his friends. He remains top dog in the group and has maintained his weight very well over the winter. Despite being in charge, he still finds time to have a play with Beau and fellow ex-Police horses, Gainsborough and Saratoga. He and his friends now have access to a straw pad throughout winter, but that doesn’t stop him coming to see his adoring visitors at the gate.